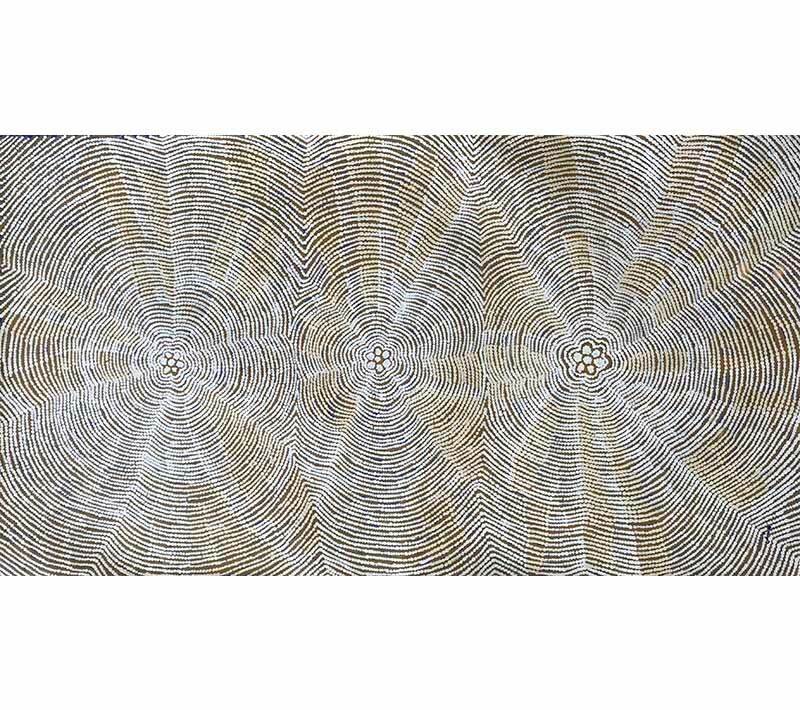 This exquisite work is by emerging artist Puuni Brown Nungarrayi of Papunya Tjupi Arts. Puuni paints the place of her birth – Karinyarra, near Papunya. Her mother, prolific painter Isobel Gorey, was on a bush trip collecting bush onions, when she gave birth to Puuni (in 1979). Puuni’s painting tells a water dreaming story. Water dreaming sites are important for the regeneration of nature. The water makes the country green and brings a lot of ‘bush tucker’ foods for the people and the animals. The heavy rain usually comes in the summer time. When the lightening can be seen at a distance, the elders will start singing to the lightening, encouraging it to bring more rain to replenish the land. In this painting the central shapes are important water sites. The patterns represent rain and water flowing from the waterholes and flooding the usually dry creek beds. 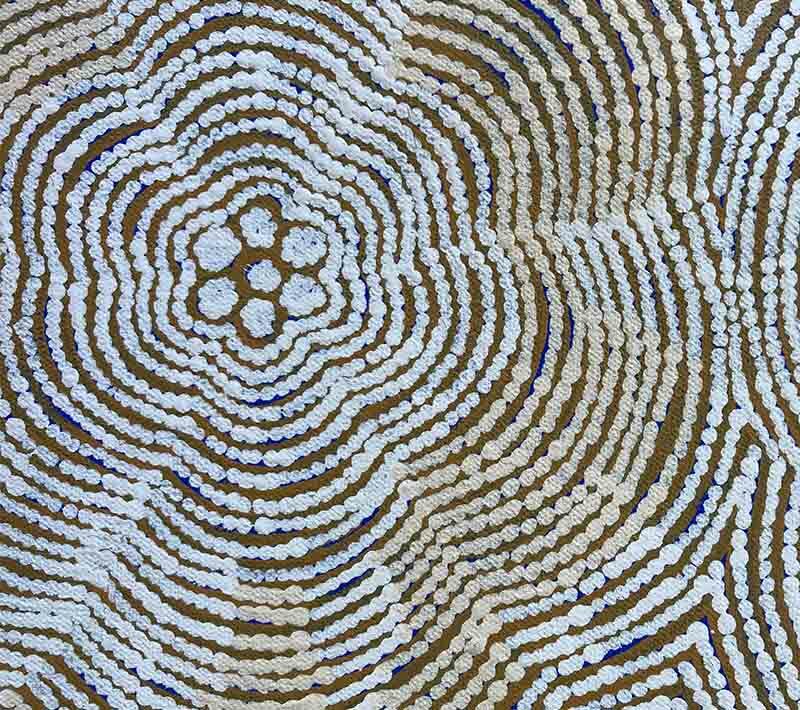 Puuni paints for Papunya Tjupi Arts, the community art centre based in Papunya, the birthplace of Western Desert dot painting. This beautiful painting measures 91 x 51cm and is priced at $1,200 (stretched ready to hang). Puuni paints country near Karinyarra Salt Lake (pictured below). Puuni was born at Karinyarra Salt Lake in 1979 when her mother (Isobel Gorey), was on a bush trip.